Centric brand to Peru and Chile. to the charm of this vibrant neighborhood. also be nearby, which is home to restaurants, shopping centers and banks. Eduardo Ariztía, chief executive officer, Talbot Hotels S.A.
guests’ discovery of the destination. For more information please visit hyattcentric.com. 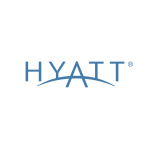 and tag photos with #HyattCentricExplorer.